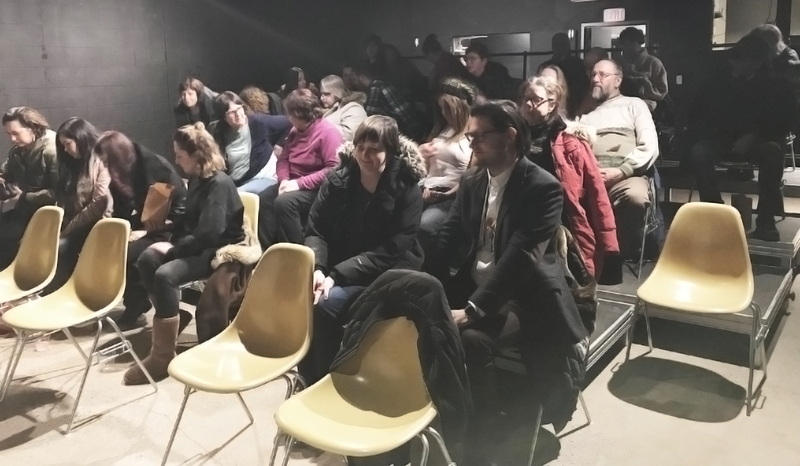 Sincere thanks to everyone who came out on a seriously cold evening in #Saskatoon, to our Screening: Forget Winnetou! Loving in the Wrong Wayon 18 January at PAVED Arts. The event was in cooperation with Wanuskewin Heritage Park and Wanuskewin Galleries on their symposium honoring the work of Norval Morrisseau, First Nations artist. Photo by Paved Arts.